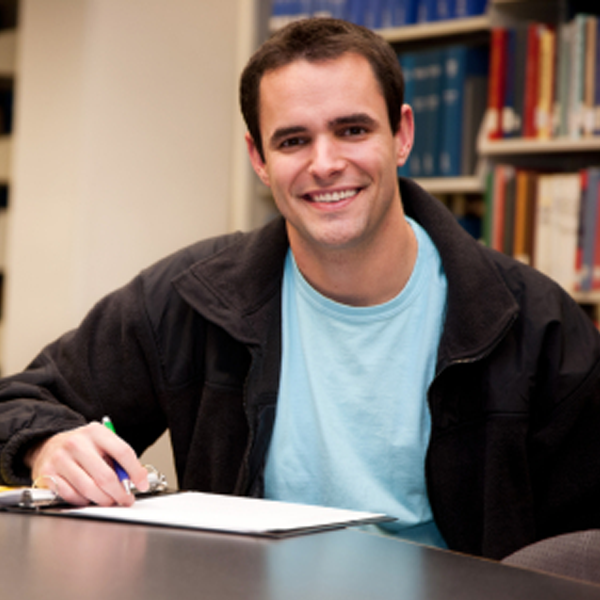 Although men are known for their physical strength and stamina, research indicates that they experience more stress and generally have shorter lifespan than women. 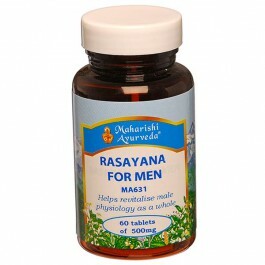 A combination of 42 herbs, MA631 Rasayana for Men is a herbal powerhouse designed to increase strength, energy, and vitality. This formulation has been shown to slow cellular aging, while nourishing the whole body, it specifically rejuvenates blood, muscle, bone, bone marrow and reproductive tissue. Excellence of bones (Asthi Dhatu) supports dynamism and a strong firm body. 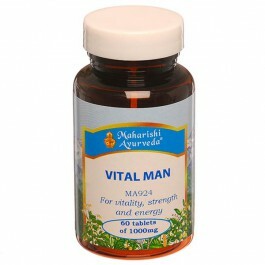 Excellence of the bone marrow (Majja Dhatu) promotes longevity and strength. Excellence of the reproductive fluid (Shukra Dhatu) is said to enhance strength, honour, happiness, personal power, overall health and attractiveness! The ingredients in MA631 include the three herbs known as Triphala, Indian Gallnut, (Haritaki), Indian Goosberry (Amalaki) and Beleric Myrobalans (Bibhitaki). 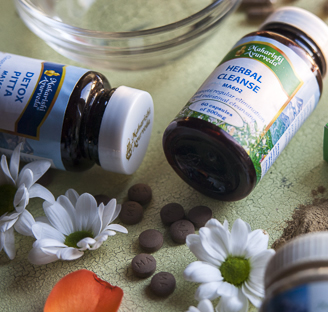 This popular Ayurvedic combination aids digestion and is a tonic for the intestinal tract. Triphala is said to be a Rasayana in its own right, in that it nourishes and balances the body as a whole. One of the most revered Ayurvedic ingredients is Mineral Pitch (Shilajit) a substance found in certain remote Asian mountainous regions. Reported to contain at least 85 minerals in ionic form, Shilajit is prepared in the traditional way, which takes up to three months. The Ayurvedic texts say that it provides a happy, long life, helps slow cellular aging, develops physical stamina and nourishes bone, bone marrow and the reproductive fluids. Also included in the MA631 is Guggul, the resin from the thorny shrub growing in the arid areas of India. It is best known for its balancing effect on cholesterol and fat metabolism. Its other effects include rejuvenation, cleansing, supporting digestion and giving strength. Guggul also has a Yogavahi effect, in that it helps to carry other ingredients to their target tissues. MA631 also contains Trikatu, a combination of long pepper, black pepper and ginger. Trikatu is renowned for its ability to enliven digestion, metabolism and the assimilation of nutrients. It removes toxins and supports the function of the lungs. Trikatu is also said to keep the head clear. Ayurveda rasayanas are considered the primary method for maintaining health and vigour - herbal remedies used to maintain optimal health. Rasayanas are ayurvedic rejuvenators and this formulation has been shown to slow cellular ageing. Its strong antioxidant properties protect against free radical damage. While nourishing the whole body, it specifically rejuvenates blood, muscle, bone, and reproductive tissue. It has a dual action of detoxifying the body and helping in the assimilation of vital nutrients. 60 tablets; 30g, 15-30 days supply. Take 1 tablet 2-3 times a daily with warm milk on an empty stomach. Can be used in double dose and higher frequencies under supervision.